This is a rather interesting test because both cars are technically similar in scope but they couldn’t be more different if they tried. 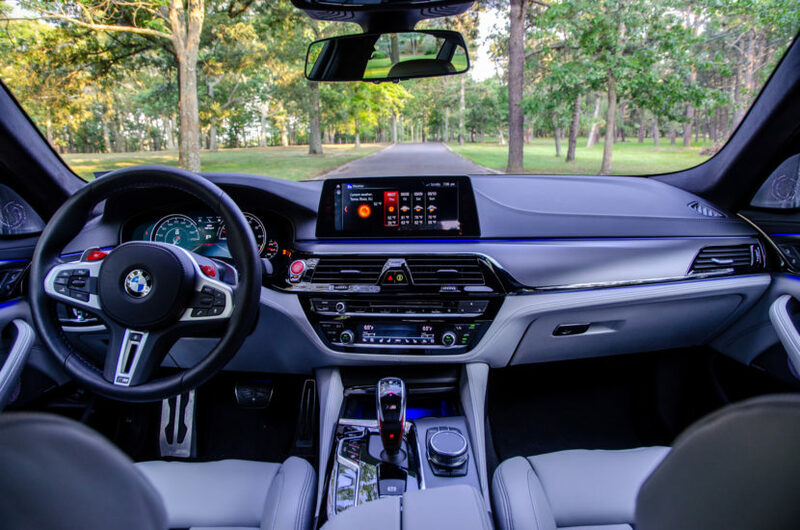 The new F90-generation BMW M5 is a brand-new, high-tech, ultra-modern uber sedan, designed to use all of the latest technology available to destroy pavement. 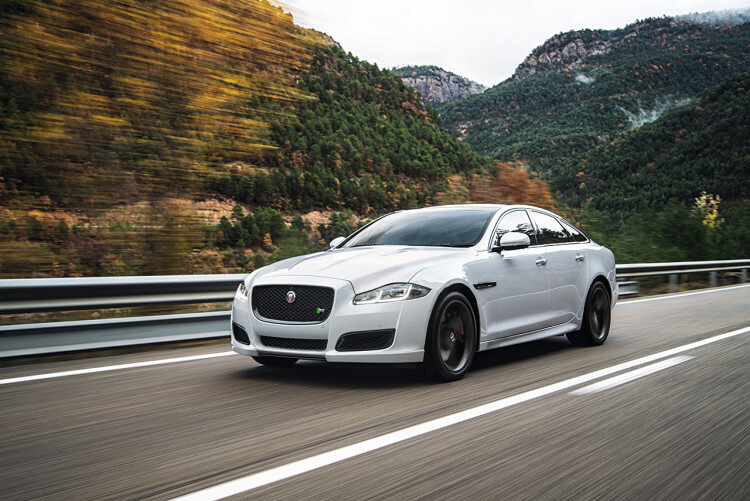 While the Jaguar XJR 575 is an old-world, drop-dead gorgeous, supercharged missile designed to put a massive grin on its driver’s face while wrapping them in seductive styling. So which one is best? Car Throttle tested both to find out. We have no sympathy for Car Throttle. What do these cars have in common? They’re both very fast, V8-powered luxury sedans. How are they different? This list is too long to type. However, let’s go over the basics of each car. 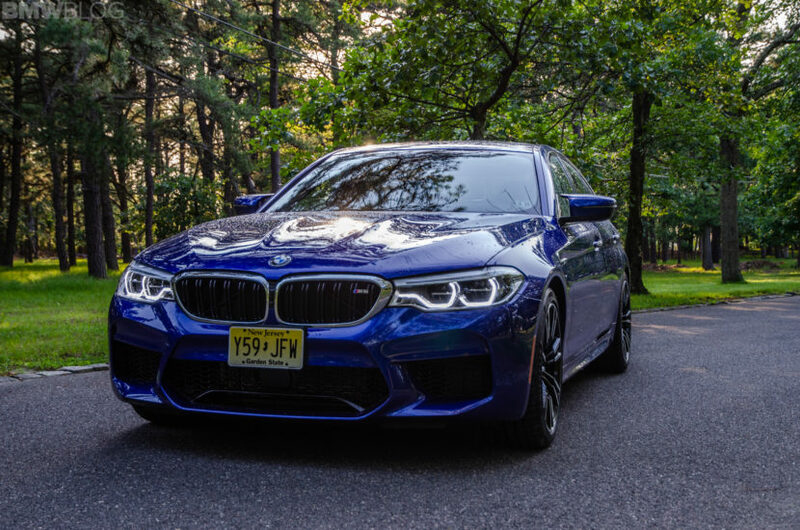 The F90 BMW M5 is based off of the 5 Series, which competes with the Jaguar XF, not the XJ. It uses a 4.4 liter twin-turbocharged V8 that makes 600 hp and 553 lb-ft of torque. It’s also all-wheel drive, with a two-wheel drive mode, and has enough technology to make NASA reverse engineer it for new ideas. On the other hand, the Jaguar XJR 575 is a bit of old-school British brute force. It’s built off of the Jaguar XJ, which is a 7 Series competitor, and its bones are far, far older than the new 5 Series. It packs a 5.0 liter supercharged V8 that makes, you guessed it, 575 hp and 516 lb-ft of torque. That engine sends power to only its rear wheels and its performance and interior technology look Betamax-era by comparison. When out on the road, these two cars’ differences couldn’t be more stark. The BMW M5 is a road-going weapon, seemingly designed in the future and sent back in time to destroy public roads. It’s a monster that’s so fast and so capable that it’s actually, literally, breathtaking. It’s hard to breath when you’re really on it, because you’re so focused on pointing it in the right direction. The surprising part? It actually responds to those inputs with precision that would make much smaller, lighter cars very jealous. The only real downside of the M5, and it’s a minute one, is the fact that you can tell there’s a lot of tech going on to make all of it possible. Whereas the Jaguar is a completely different animal. Its suspension is wafty and deliciously comfortable and its steering is slower than the M5’s, albeit with more feedback. So it’s nowhere near the athlete that the BMW M5 is, pitching and heaving around as you try to hustle it. And it has a bit too much engine for its chassis, as its razor-sharp throttle response, thanks to being supercharged rather than turbocharged, means it’s a bit too aggressive, a bit too eager to accelerate for its suspension and chassis. Still, it’s incredibly desirable and looks flipping gorgeous. Even its interior, despite having no where near the level of technology or modernity of the M5, is superb looking and, honestly, the better of the two. It’s a tough choice because the BMW M5 is so astonishingly good that it’s almost impossible to turn down and, in the end, I wouldn’t. However, the Jaguar XJR 575 is so endearing, so wonderfully wrong in all the right ways that one can’t help but love it.